In her book Mythologies of Migration, Vocabularies of Indenture: Novels of the South Asian Diaspora in Africa, the Caribbean, and Asia-Pacific, Miriam Pirbhai articulates the specificities of diaspora that are usually overlooked by scholars like Vijay Mishra in their approach to understanding the concerns of the Indian Labor Diaspora as unified. The context of each writer is usually neglected in favor of pointing out cohesion between national groups without a consideration of the nuances that shade each diasporic context. For example, a Guyanese poet will have experienced ethnonationalism differently than a Fiji Indian person. Each national space includes its own problematics of identity, whether the reader believes diaporic imaginaries to be predicated upon an illusory past as Stuart Hall says, or if envisioning it as James Clifford does as a response to threatened subjectivity. The particular details, according to Pirbhai cannot remain overlooked. Through this “vocabulary” of parallel colonialism and colonial histories between these groups is possible to the extent that the similarities are recognized as resonances and not as exact cognates. According to Pirbhai there are three types of diaspora axes: the dyadic axis (where there is an indigenous community and diasporic group or two diasporic groups living together), triadic axis (where Europeans live alongside various diasporic groups), and quadratic axis (a multiethnic state). The type of diaspora, according to Pirbhai, illustrates the “conflicts, character, and themes” (Pirbhai 11) that emerge from their consideration. The specific words that indicate this relationship include girmitya (a corruption of the word “agreement” used in Fiji), coolie (from Tamil, laborer), khula (“free” or someone who migrated without an indenture contract), jahaaj-bhai/bahin (brother/sister of the boat), arkatiya (recruiter for the British sugar plantations), and kalapani (literally “black water” crossing which one is stripped of identity). I add the words kantraki (a Sarnami word for “contracted laborer”), sirdar (a landowner), dharma (religion), dougla (mixed-race), machli (fish), and other words for food like curry and papadam. Miriam Pirbhai’s “vocabularies of indenture” trace language usage, national and cultural identities, and asks the question of Khal Torabully’s concept of Coolitude, Is it possible to articulate a global conversation between poets of the Indian Labor diaspora from disparate countries? After the creation of “coolie” as identity category that at first resisted ethnic demarcation through its attempt to equalize South Asian laborers, what similarities haunt the imaginations of coolies separated by many oceans? Through original translations, consideration of local politics, semantic and semiotic shifts, I illustrate the ways in which the vocabularies galvanize and split into fissures the idea of unity among South Asians. When the Fiji Indian poet Sudesh Mishra came to the University of Hawai‘i he read his poems and led a student workshop. I helped to organize his visit in the way a graduate student could: by proposing a budget and asking for him specifically. Prior to his coming I read his book of poems Diaspora and the Difficult Art of Dying and recognized his use of Guyana and the Caribbean as a cultural space that he drew from to create metaphors for the Indian Labor Diaspora. After his reading I went with him and members of the creative writing department to a restaurant where Mishra and I discussed the role of Hindi and Bhojpuri in understanding ourselves as “Indian.” I was astonished to have this conversation, something that I would imagine having with my sister, in the Pacific. But in which place dwells the stranger? Tears abound in the eyes of the stranger. He sets my heart on fire, the stranger. Sudesh Mishra translated this song in Vijay Mishra’s book The Literature of the Indian Diaspora. Our exchange sparked in me the idea to consider the cohesions and tensions between our different experiences as South Asians, as diapsoric Indians, as Coolies in very different national contexts. I was surprised how Mishra’s song felt like a kind of home, how his poetics echoed something in mine, that our resonances were staggering and profoundly moving. This interaction inspired me to think of coolies on a global scale. There are people of the Indian Labor Diaspora, Coolies, across the world from the Caribbean to South Africa to Mauritius to Fiji and perhaps even elsewhere. I wanted to look at these commonalities and differences through the vocabularies that we employ, vocabularies that haunt our poems. 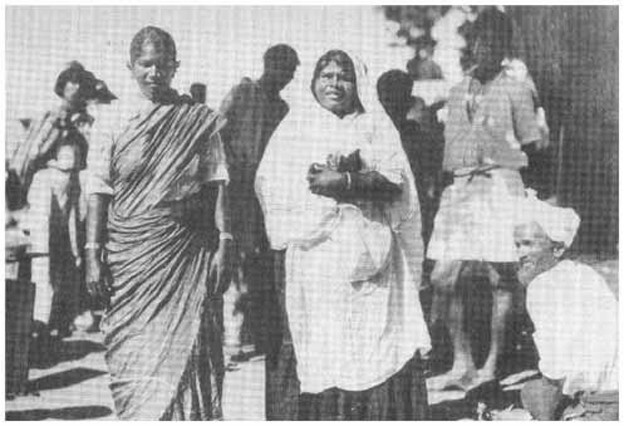 Indeed, even the controversial word “Coolie” was not intended as an ethnic or racial category, but rather was created as a category of labor, possibly derived from the Tamil word “manual laborer.” This word has featured prominently in the poetry of Indo-Caribbean poets like Rajkumari Singh, Mahadai Das, and David Dabydeen, and more recently by the writer and journalist Gaiutra Bahadur, and the visual artist Andil Gosine. Coolie has undergone a transformation — a semantic shift used in some Indo-Caribbean communities as a rallying cry to write against empire. One such use is Khalil Torabully’s concept of Coolitude, a descendant and anti-identitarian concept that accounts for creolization that faces Asia (Carter & Torabully 143). I express Coolitude in my own writing through subject matter but also through the vocabularies of indenture. This is outlined by Miriam Pirbhai, and I connect this to Khal Torabully and Marina Carter’s articulation of Coolitude. It is my intent to show poetic connections between what would otherwise be conceived of as diverse and distinctive national cultures, by tracing what Vijay Mishra imagines as the haunting of those descended of coolie labor — the need to rearticulate the trauma of passage to plantation. I look to contemporary poetry to articulate the connections and fissures between this group of people in an attempt at inclusive comparativism. The countries that represent this look at the anvil of kalapani, the black waters, that re-forged us into a new people based on an economic distinction of “coolie” (Tamil for “laborer,” Hindi for “porter”), are Mauritius, Trinidad, Guyana, England, the United States, and Fiji. Any attempt at comparison is necessary and will be flawed by the perspective of the reader, in this case, me — author as poet writing primarily in English with poetic forays into Hindi, Bhojpuri and French. By looking at these creations written and performed by people from the Indian Labor Diaspora, I hope to understand the tradition that I am writing into in a more complete way. I route my understanding through the vocabulary of indenture. Mishra, Vijay. “(B)ordering Naipaul: Indenture History and Diasporic Poetics.” Diaspora: A Journal of Transnational Studies. 5.2 (1996): 189-237. Project Muse. Web. 8 Oct. 2013.